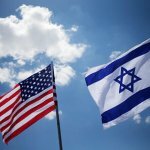 Do I Need a Visa for USA? Besides a great country to work in, the US is also a very popular country to visit. It has historical landmarks, impressive infrastructure, and beautiful nature. Additionally, the US presents an attractive environment to do business in. Many people have the US as their travel or business destination and because of that, there are also visas available which only give you the right to enter the US for visiting purposes. What Are the US Visitor Visas? The US visitor visas are a category of US non immigrant visas that allow its holder to go to the US short-term visits for a maximum of six months. B1 visa is the visa which allows you to enter the US with the purpose of doing business with a company within the US. B2 visa is the visa which allows you to enter the US with the purpose of tourism, pleasure, or visit to friends and family. Besides each individual visa, there is also a combination of both B1 and B2 visas; however, that is more rarely sought out. The benefit of the US visitor visas is that there is no cap on the number issued in a year, and those who abide by the rules can get it as many times as they want as long as they fulfill the criteria. 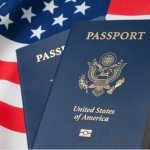 Who Needs to Apply for a US B1/B2 Visa? If you are a citizen of one of the countries in the Visa Waiver Program you don’t need to apply for a US B1/B2 Visa. Instead, you can apply through the Electronic System for Travel Authorization (ESTA). With the ESTA program, you will not be required to go to the US Embassy in person and can get the visa much faster. Are you Eligible to Apply for ESTA? If you are not a citizen of any of the listed countries you can choose "None of the above"
I have been in Iran, Iraq, Sudan, Syria, Libya, Somalia or Yemen since March 01, 2011. You are not eligible for ESTA and need to apply for a U.S. Visitor Visa! To increase your chances of having a successful U.S Visitor Visa application you can use the services of TravelAssist. The US is supportive of international education, welcoming foreign students and exchange visitors who prior to their entry to the US for study purposes must first obtain a visa. Educational qualifications in the U.S are highly prestigious and this makes students across the world want to attend U.S institutions. However, before applying for a visa, students and exchange visitors must be accepted by their schools or program sponsor in order to be eligible and also fulfill the general requirements in order to obtain a study visa. F-1 visa – for attending academic education starting from elementary to graduate school, including language courses. M-1 visa – for students enrolled in vocational and non-academic education, excluding language courses. J-1 visa – for studying when various organizations sponsor you. You are not eligible for ESTA and you need to apply for a U.S work visa. To learn more about U.S work visas and their types visit this article. The U.S work visas are used for people to go and work temporarily in the U.S. for a specified period of time. The period of time that you will be working should be noted in the employment contract or the visa application. This type of U.S visa does not allow individuals to work in the U.S indefinitely or permanently. Applicants need to fulfill a list of requirements and submit the documents specified in the next sections of this article to be eligible to apply for a temporary work visa. You are not eligible for ESTA and you need to apply for a U.S immigrant. To learn more about U.S immigrant visas and their types visit this article. Immigrant visas give its holders the right to stay in the U.S permanently. Whereas with a U.S nonimmigrant visa, the person is required to return to their home country when their visa expires, an immigrant visa does not expire. It allows you to live, work, and study in the U.S or engage in any activity you like. Immediate Relative visas – to unite with family members who live out of the country. You are Eligible for ESTA! 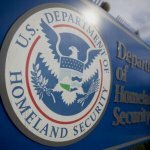 Refer to this website to apply for ESTA: esta.cbp.dhs.gov/esta/. You don't need ESTA to visit to the U.S.
As a citizen of Canada and Bermuda you can visit the U.S without having to apply for a non-immigrant visa. How to Apply for the Visitor Visas? The application for visitor visas is quite straightforward and goes through much of the similar process as other US nonimmigrant visas. This means that you apply at a US Embassy or Consulate in your home country. Form DS-160, Online Nonimmigrant Visa Application is a standard form required for a US visitor visa. It has various sections depending on the type of US visa that you are applying for. You must find the section for the visitor visas (either B1 visa or B2 visa) and fill the necessary spaces. It will ask about your personal information, background, and purpose of visit to the US. At the end, you will get a confirmation page and code which you need to retain for later. by using the services of a third party company such as TravelAssist. Why do we advise to apply through TravelAssist? TravelAssist’s staff will fill in the form DS-160 to book your B1/B2 visa appointment with the US Embassy/Consulate. They will provide you with a complete list of required documents for your B1/B2 Visa application and will check your prepared application file to make sure your application has the highest possible prospect of success. The staff of TravelAssist will offer 24/7 online support regarding your B1/B2 visa application. If your US visa application is successful TravelAssist will get you your B1/B2 visa quickly. In the event of denied entry to the US they offer Travel Protection that will cover your financial expenses. TravelAssist is a specialized company in processing US visa applications and has helped over 20,000 people enter the United States. They provide end-to-end visa assistance to help you successfully enter the United States. Click here to start your B1/B2 visa application through TravelAssist now! The application fee for the US visitor visas is $160. Besides this fee, you might have to pay visa issuance fees which are determined based on the relationship of your country with the US. All visa applicants between 14 and 79 years old are required to attend a US visitor visa interview with an official from the US Embassy they are applying in. To learn more about how to schedule a US visa interview, visit the following article. When you go to the US Embassy, you need to support your case as to why the US Embassy has to give you a visa. With your document file and depending on the type of visitor visa you are seeking, attend your interview. During the interview, the official will mostly concentrate on your intent to return to your home country. Many people try to go into the US with visitor visas and find employment illegally, so you must prove that you will return. To apply for a US visitor visa, you need to compile a document file which contains the standard required documents for every US visa and the specific document requirements for the B1 visa or the required documents for the B2 visa. To increase your chances of having a successful U.S. Visitor Visa application you can use the services of TravelAssist. Specializing in processing visa applications with accuracy, TravelAssist has helped over 20,000 people enter the United States. The experienced TravelAssist agents will carefully handle your application and offer the help you need during your U.S. Visitor Visa Application. Click here to start your U.S. Visitor visa application now! How Long do the USA Visitor Visas take to Process? The processing time for the B1/B2 visa can vary from a few weeks to a few months. If you have a specific date that you need to be in the US in, it is best to apply as early as possible so that you can allow enough time for the visa to be processed. How Long Are the US Visitor Visas Valid? US Visitor visas are given for a period 1 month up to 10 years. The maximum stay on a visitor visa is six months, but bear in mind that you are not allowed to work during that time, so you must prove you can afford to stay for that period of time. If you want a B1/B2 visa extension, you must provide a valid reason as to why you need to stay and submit documents supporting your case. Additionally, during the time that you are in the US with a visitor visa, you can try to change your status to a longer-term visa. However, if your purpose is this, then you need to inform the officials at the Embassy during your interview. If you do not inform them, then you need to prove that you did not intend to change your status at the beginning of your trip and the opportunity came later on. Can I Get a Green Card With the Visitor Visas? Since the visitor visas are temporary and require you to prove that you will return to your home country, it is difficult to get permanent residence. You can do so only if you are able to change your status to a longer-term visa which allows dual intent (applying for a Green Card), marrying in the US, or applying to join your family. 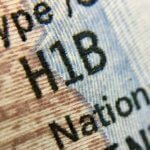 Can I Bring my Dependents With a B1/B2 Visa? The B1/B2 Visas do not have dependents visas, so if you want to travel with your family, they must also get the appropriate visitor visas.